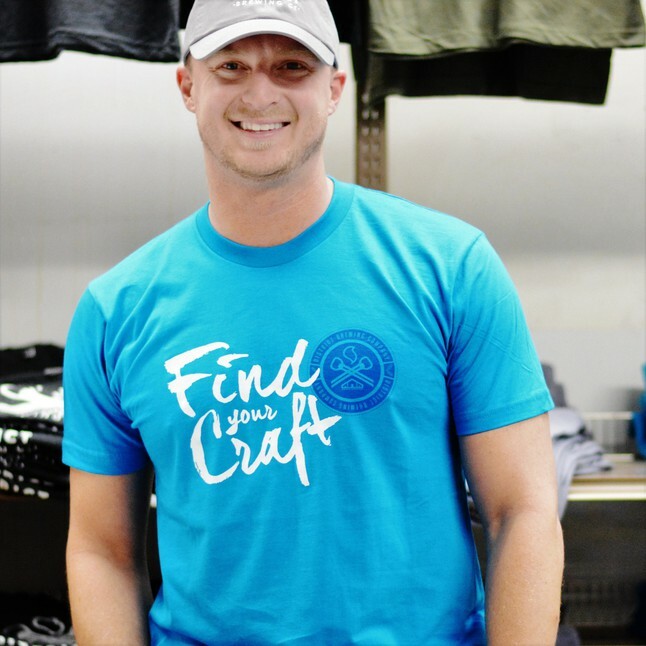 District Brewing Company's "Find Your Craft" logo screen printed in white on a Teal, 100% cotton, American Apparel Fine Jersey Crewneck T-shirt: the softest, smoothest, best-looking short sleeve tee available anywhere! This colorful shirt is perfect for summertime. Bright, bold, and bodacious--just like you. Whether you're on a hike, out running errands, at the beach or lounging around the house, this soft shirt is most likely the most comfortable pice of clothing you could own. Oh, and it's great for taking selfies in.